Luxury Day Spa and Beauty Services for your face and body especially designed to leave you feeling beautifully refreshed. Click a category to display service price details below. Please note: Treatment times stated include a thorough consultation and aftercare advice. A 30 minute body treatment is 25 minutes of actual treatment time and 5 minutes allocated for consultation and aftercare. A 60 minute body treatment is 50 minutes of actual treatment time and 10 minutes allocated for consultation and aftercare. A 75 minute treatment is 65 minutes of treatment time with 10 minutes allocated for consultation and aftercare. Experience an express facial for a burst of radiance in just 30 minutes. After deep cleansing and exfoliating the skin, the application of a mask immediately boosts radiance. Your skin looks rested and your complexions radiance is restored. Lifting and firming. This treatment is specifically designed to care for the delicate eye area. The techniques and products used deliver instant brightening, smoothes lines and wrinkles and substantially reduces puffiness and dark circles. The Eye Contour is lifted and eyes enhanced. This facial is an original combination of relaxing massage techniques using Beauty Elixir one of Caudalie’s bestselling products. After cleansing and exfoliating, a massage without oil is performed through the use of misting and gentle pressure, boosting micro-circulation from the face to the decollete for an instant burst of radiance. The face is rested and the complexion is fresh and glowing with health. A skin-renewing treatment to deeply moisturise the skin. Treatment starts with gentle cleansing and exfoliation. A massage with fresh grapes followed by a recovery essential oil massage soothes dryness and irritation. The application of an intensely moisturising mask restores moisture levels. Vinosource products are applied to leave the complexion healthy and glowing. This treatment begins with cleansing and includes exfoliation and a special massage using a cryotherapy tool which helps to remove impurities and tighten pores. Followed by a purifying massage to free the skin of imperfections and refine skin texture. A mask rich in zinc helps to draw out and clear up impurities. The application of Vinopure products, with their powerful combination of grape Polyphenols, purifying organic essential oils and natural salicylic acid, brings clarity and freshness to the complexion. This facial is the perfect solution for those wishing to protect their skin from the effects of pollution and early wrinkles, while energising the skin to deliver a radiant healthy glow. Incorporating a relaxing massage using jade stones, this facial also combines the purifying properties of a pink clay, coffee and grape mask with the powerful antioxidant collection VineActiv, combining grape polyphenols, Vitamin E and Vitamin C for protection. The ideal treatment for skin lacking radiance and luminosity. After a gentle cleanse and exfoliation a bespoke massage with essential oils and small hot and cold basalt stones stimulates your skins radiance. The deep action peeling mask awakens the complexions luminosity. Caudalie’s Vinoperfect collection adds the finishing touch to this treatment, leaving skin looking rested and radiant. This facial has been specially created for skin that lacks vitality and firmness. After skin is gently cleansed and exfoliated, a stimulating massage visibly lifts and defines the contours of the face. The application of an exclusive warming and firming mask, which sets on the skin and enhances the lifting effects of Caudalie’s Resveratrol Lift products. The firming and lifting effects are immediate; your face is resculpted and radiant with youth. This exceptional facial is a blend of Caudalie’s most effective anti-ageing ingredients and treats all signs of skin ageing. Thanks to an innovative massage technique and the use of a dermal roller, followed by an exclusive mask enriched with resveratrol, the skin feels denser, smoother and firmer. Wrinkles and fine lines fade visibly. Your complexion looks younger and radiant. This facial also includes a 15 minute anti-ageing eye treatment. Please note: Non of our Caudalie facials include manual extraction of blackheads and/or whiteheads. To add on extractions to any of our Caudalie facials please let us know on booking so the relevant time can be allocated for you. Extractions are not available as a stand alone appointment. CAUDALIE Treatment Packages also available! Click here to visit our superb CAUDALIE Treatment Packages.. Please Note: We offer massages to everyone over the age of 18, clients between 16-18 years of age require parental consent. We do not massage under 16’s due to developing bones and tissues. Treatments times stated include a thorough consultation and aftercare advice. A 30 minute massage is 25 minutes of actual treatment time and 5 minutes allocated for consultation and aftercare. A 60 minute massage is 50 minutes of actual treatment time and 10 minutes allocated for consultation and aftercare. A 75 minute massage is 65 minutes of treatment time and 10 minutes allocated for consultation and aftercare. A great massage for tired, sore, aching legs and feet. This lovely treatment includes exfoliation of the legs and feet and a hot stone massage. Moisturiser applied to finish. Treatment can also be carried out on a pedicure station which will include a foot soak. A great massage for tired, sore, aching hands and arms. This lovely treatment includes exfoliation of the arms and hands and a hot stone massage with moisturiser applied to finish. Treatment can also be carried out on a manicure station which will include a hand soak. A gentle cleanse removes surface grime followed by a deeply relaxing pressure point face massage. Helps to improve skin condition, reduce puffiness and encourage lymphatic drainage (reduces toxins in the body) your skin is left soft, supple and glowing. A gentle cleanse removes surface grime followed by an invigorating face massage to awaken facial muscles. A series of massage techniques are used to encourage lifting and firming of the skin. This treatment starts with a relaxing neck and shoulder massage to release tension before moving onto the head to reduce any headache causing blockages. Then after a gentle cleanse of the face a pressure point face massage is performed to help improve skin condition and reduce puffiness, followed by a jade stone roller face massage which helps to encourage lymphatic drainage. A gorgeous treatment for an area of the body that is often neglected. Includes a back cleanse with exfoliation and steam, followed by a back massage using a deep muscle hot oil. This treatment will improve any areas of congestion and will also help to relieve stress and tension. During this treatment techniques are used to help improve the appearance of cellulite and to detoxify the skin and encourage lymphatic drainage. Your skin is vigorously brushed using a dry, firm bristled body brush to detoxify the skin, then the same areas will be exfoliated which will stimulate circulation. This is followed by a detoxifying deep tissue massage, and to finish a sculpting body lotion is applied which increases elasticity and smooths the contours of the body. Treatment options: Face massage, Back, Neck & Shoulder Massage, Caudalie Express D-Vine Facial, Indian head massage, Caudalie Divine Oil Full Body Scrub, Legs & Feet only Massage, Hands & Arms Only Massage, Foot Wellness Ritual or Hand Wellness Ritual. Afternoon tea includes: Fresh homemade sandwiches, cakes and a scone. A glass of Prosecco can be added for £5. Please Note: Full payment is required in advance for this treatment. Please state when booking whether you have any allergies and preferences for sandwich fillings and bread. The height of luxury! A full body massage using a luxury French Lavender oil is tailored to your requirements, a hot stone back massage eases and soothes tired aching muscles. A deep scalp massage releases any tension causing headaches, finishing with a pressure point face massage. For Indian Head Massage & Reflexology please click here to view our Holistic Treatments.. The Caudalie Divine Scrub gently exfoliates to leave the skin silky smooth. Containing brown sugar combined with 4 exceptional plant oils. After showering off the scrub, Caudalie’s Divine oil is applied leaving skin moisturised, nourished and smelling amazing! A relaxing massage featuring Caudalie’s award winning divine oil, a combination of 4 exceptional plant oils. Skin will be luxuriously softened, moisturised and wrapped in a delicate floral fragrance, a blend of roses, grapefruit, pink pepper, vanilla, cedar and white musk. The exotic The De Vignes aroma will help to relax your body and mind and leave your skin feeling amazing. This super oil contains notes of white musk, neroli flower and ginger. The massage is tailored to your requirements to help ease aches, pains and tension. Under the glow of the soft light of a massage candle that melts into a warm oil, delicately scented with Fleur De Vignes (grape blossom), enjoy a unique and relaxing experience indulging all of your senses. Tension will be relieved helping you to regain your energy. An invigorating slimming treatment, the most popular scrub from Vinotherapie Spa’s, containing grape-seeds, honey, brown sugar and 6 essential oils which will leave skin radiant and perfectly smooth. The sculpting body treatment, together with Caudalie’s contouring concentrate smoothes cellulite and reshapes your body. This is an ideal treatment for a slimming programme or before exposure to the sun. Please note: Treatment times stated include a thorough consultation and aftercare advice. A 60 minute treatment is 50 minutes of actual treatment time and 10 minutes allocated for consultation and aftercare. A 75 minute treatment is 65 minutes of treatment time with 10 minutes allocated for consultation and aftercare. A 120 minute treatment is 100 minutes of treatment time. Featuring: Express D-Vine Facial & your choice of either a Divine oil or The Des Vignes oil back, neck & shoulder massage. Featuring: Express D-Vine Facial and your choice of either a Divine oil or The Des Vigne oil full body massage. Featuring: Select one of the following 60 minute Facials – VinoSource, Beauty Elixir, VinoPure, Vine (Activ) or Vinoperfect. Then select either a 30 minute Divine Oil or The Des Vignes oil back, neck & shoulder massage. Featuring: Select one of the following 60 minute Facials – VinoSource, Beauty Elixir, VinoPure, Vine (Activ) or Vinoperfect. Then select either a Divine Oil or The Des Vignes oil full body massage. The following treatments are available to add on to any of our Caudalie Treatment Packages. Click here to visit our superb CAUDALIE Facials..
CAUDALIE Body Treatments/Massages also available! Click here to visit our superb CAUDALIE Body Treatments/Massages..
All CND pedicures use the CND range of luxury spa products. Express Pedicures include the following: nails filed, cuticle work, colour applied and feet moisturised to finish. Includes: nails filed, cuticle work, foot soak, exfoliation and a mini massage. Nails are painted using CND Vinylux and moisturiser is applied to finish. Includes: nails filed, cuticle work, foot soak, hard skin removal, exfoliation, a relaxing massage and application of a luxury mask. Nails are painted using CND Vinylux and moisturiser is applied to finish. Includes: nails filed, cuticle work, foot soak, hard skin removal, exfoliation and a gorgeous massage using a heated French Lavender oil with heated boots applied, a luxury mask and nails painted with CND Vinylux. Moisturiser is applied to finish. Includes: nails filed, cuticle work, foot soak, hard skin removal and exfoliation. A relaxing massage, application of warm paraffin wax followed by heated boots, a luxury mask and nails painted with CND Vinylux. Moisturiser is applied to finish. Please Note: Time stated includes time for a thorough consultation and aftercare advice. Full body scrub, 30 minute Massage & Indian Head Massage. Treatment starts with a full body scrub using Nectarine & Honey Blossom salt scrub which is nourishing and soothing, after showering off the scrub the treatment continues with a massage focused on your area of choice (back, neck & shoulder, hand & arm or foot & leg), using an invigorating body oil containing marjoram, ginger, clove, spearmint and mint to ease muscles and help get rid of tension and keep skin supple. Treatment ends with an Indian Head massage using Raw Organic Coconut oil to help release headache causing blockages. Full body scrub, Full body wrap, Indian Head Massage and Back, Neck & Shoulder Massage. Treatment begins with a full body scrub using Green Tea & Coconut sugar grain polish. The fine sugar grains detox the body leaving it feeling re-energised, smooth and hydrated. After the scrub has been towelled off a Green, red, white tea and mint leaves full body wrap is applied. The wrap contains active ingredients including theanine, polyphenols, flavonoids and Vitamins C & E which can help slow down the ageing process and aid the drawing out of toxins from tissues and the breakdown of fatty acids. While the wrap is on, an Indian Head massage is performed using Raw Organic Coconut oil, helping to reduce headache causing blockages. After showering off the wrap the treatment ends with a back, neck and shoulder massage to release any tension with seaweed body oil which detoxifies the skin by expelling toxins out of the pores. It is overflowing with essential vitamins, minerals, amino acids and antioxidants to keep skin revitalised, moisturized and youthful. It’s full of phytonutrients that elevate blood flow and bring a healthy glow to the skin. Full Body Scrub, Indian Head Massage & Full Body Massage. Treatment starts with a Geranium & Grapefruit full body salt scrub which is great for reducing cellulite, cleansing the skin, improving circulation and leaving skin with a fresh glow. After the scrub has been showered off treatment continues with an Indian head massage using Raw Organic Coconut oil to release any tension causing headaches and finishes with a full body massage using Sensitive body oil containing Vitamins A, C and E to renew cells, nourish skin and fight free radicals. Full body scrub, Full Body Wrap, Face Massage & Full Body Massage. Discover our Radiance boosting treatment. Treatment starts with a full body scrub using Illuminate body polish which is perfect for balancing the skin’s complexion, this rich scrub firms the skin and reduces wrinkles. Skin feels smoother and more radiant with noticeably less pores. After the scrub has been towelled off an Illuminate full body wrap is applied which contains active ingredients that inhibit the melanin synthesis which helps to establish a more even skin tone and reduces the colour of ageing skin spots and the appearance of pigments on the skin. To help create the radiant or luminous effect and to reinforce the natural properties found in rice, 5 alpine plants from Switzerland have been used to yield the gentle aroma. The white flower top notes and vanilla base notes enhance the luminous rice effect. While the wrap is on a lifting face massage is performed using Organic Rosehip oil a brilliant source of vitamins E, C, D, F, and B-Carotene and a host of fatty acids. The result is an even, balanced and dewy skin tone. After the wrap has been washed off a full body massage completes the treatment, using Calming body oil containing Sunflower seed oil and apricot Kernel oil, both rich in vitamins A and E, work to renew cells, nourish skin and fight free radicals. Rosehip oil, full of vitamin C and lycophene, works to repair the skin’s surface and restore elasticity. Working with the raspberry Seed oil, which reduces the destruction of collagen, this oil is great for firming, and keeping skin supple. Full body scrub, Indian Head Massage, Face Massage & Full Body Massage. Treatment begins with a full body scrub using a Yuzu, Pink Beets & Watermelon salt scrub which delivers skin protecting antioxidants and vitamins to purify and brighten the skin. After showering the scrub off the treatment continues with a full body massage using Sensitive body oil containing Vitamins A, C and E to renew cells, nourish skin and fight free radicals. Then an Indian Head massage is performed using Raw Organic Coconut oil which is rich in proteins and vitamin E.
Skin is then gently cleansed followed with a relaxing massage using Youth Blast Passion Flower Seed oil completing the treatment. Containing Vitamins C and A too lightly hydrate, balance and restore barrier functions. The ultimate blast of vitamins for your skin! 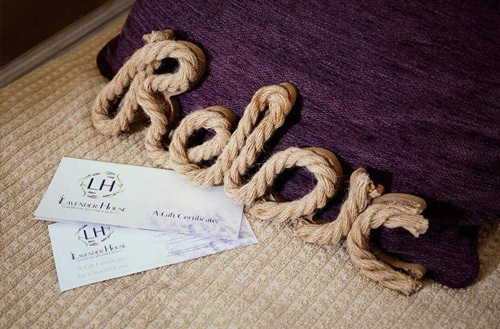 Why not add a CAUDALIE Facial onto any one of these treatments for the ultimate relaxation.. Please Note: we provide freshly laundered dressing gowns, towels and disposable flip-flops; you just need to bring your own swimwear. Treatments times stated include a thorough consultation and aftercare advice. A 30 minute facial/massage is 25 minutes of actual treatment time and 5 minutes allocated for consultation and aftercare. A 60 minute facial/massage is 50 minutes of actual treatment time and 10 minutes allocated for consultation and aftercare. 30 Minute Treatments: Caudalie Express D-Vine Facial, Relaxing or Deep Tissue Back, neck & shoulder massage, Indian Head Massage, Face Only Massage (Lymphatic drainage or lifting and firming), hand and arm massage, foot and leg massage, foot wellness ritual, hand wellness ritual, Caudalie Divine oil full body scrub. Two 30 Minute treatments can be chosen as one 60 minute treatment option. 60 Minute Treatments: Relaxing or Deep Tissue Full Body Massage, Caudalie facials (Vinosource, Beauty Elixir, Vinopure, Vine (Activ) and Vinoperfect). For Resveratrol +£5 and for Premier Cru +£10. Full use of the Thermal Suite & Mud Rasul Treatment - 90 minutes. Your choice of one 30 minute treatment from the list of options. Full use of the Thermal Suite & Mud Rasul Treatment - 90 minutes. Your choice of two 30 minute treatments or one 60 minute treatment from the list of options. Full use of the Thermal Suite & Mud Rasul Treatment - 90 Minutes. Your choice of one 30 minute treatment and one 60 minute treatment from the list of options. Full use of the Thermal Suite & Mud Rasul Treatment - 90 minutes. Your choice of two 30 minute treatments and one 60 minute treatment from the list of options. Full use of the Thermal Suite & Mud Rasul Treatment - 90 minutes. Your choice of one 30 minute treatment and two 60 minute treatments from the list of options. Full use of the Thermal Suite & Mud Rasul Treatment - 90 minutes. A 60 minute Caudalie facial from the options above. Lavender House Signature Massage and then either a Lavender House Signature Manicure or Pedicure. This Spa Day also includes a complimentary sandwich and crisps. Our lash lift treatment works with your natural lashes creating the effect of longer lifted lashes which last 6-8 weeks. A lash tint is also included. Please Note: a patch test is required before this treatment. During a semi-permanent eye lash treatment there will be many individual lashes applied. It is normal to experience the loss of a few lashes during the first 24 hours while the adhesive is setting and extra care should be taken during this period. The longevity of your lashes will depend on the care taken after your treatment. We each have around 150-200 eyelashes per eye and roughly lose 1-4 lashes per day however some woman lose more and some less it is relative to the individual and the treatment of their lashes. Please follow the advice below. ▪ Avoid getting lashes wet during the first 24 hours and avoid saunas and steam rooms for 48 hours. ▪ Do not pick, pull or rub your lashes. ▪ Make sure you brush through your lashes frequently with the brush provided to you at the end of your treatment to ensure lashes stay in good condition. 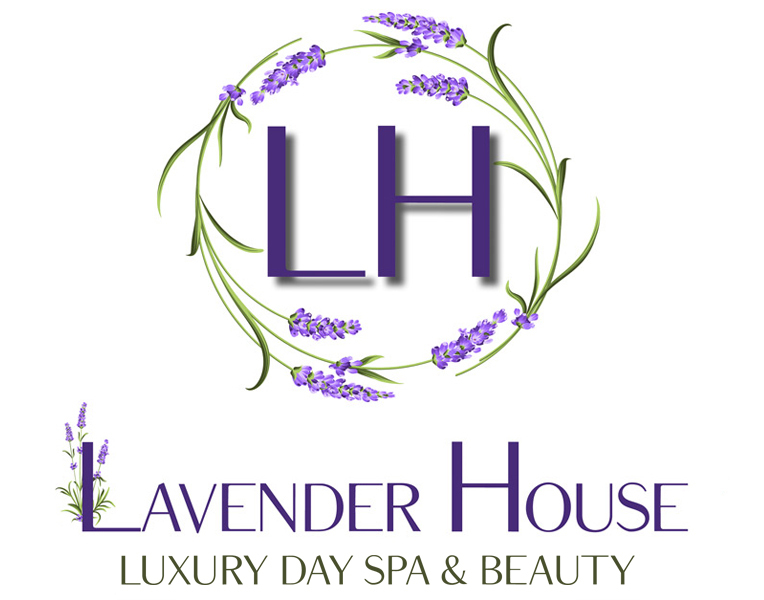 ▪ If you experience any irritation contact Lavender House. ▪ Eyelash curlers should not be used. ▪ Eyelash extensions cannot be permed or tinted. ▪ Avoid using any oil based products around the eye area as this will weaken the glue bond and will cause lashes to shed prematurely. ▪ It is not necessary to wear mascara but if you choose to you must make sure the mascara is oil free. ▪ If you wear eye makeup make sure you remove it with an oil free product, such as oil free Micellar Water. •	Eyelash extensions will last the lifetime of the natural lash they are adhered to. To keep lashes looking their best it is recommended to have regular 2-3 week top up treatments. ▪ If correct aftercare is followed your own lashes will not be damaged. For more information or to make a booking please call the spa on 01704 531400. Please note: Treatment times stated include a thorough consultation and aftercare advice. A 30 minute body treatment is 25 minutes of actual treatment time and 5 minutes allocated for consultation and aftercare. A 60 minute body treatment is 50 minutes of actual treatment time and 10 minutes allocated for consultation and aftercare. A 90 minute treatment is 75 minutes of treatment time with 10 minutes allocated for consultation and aftercare. Our spa is designed with your relaxation in mind, we please ask that you turn mobile phones onto silent and please respect all guests’ right to privacy and quiet. We ask if you are unable to make your appointment to please let us know a minimum of 24 hours prior to your booking. Failure to do so may result in a 50% cancellation fee. The same applies for failing to turn up for an appointment or re-arranging an appointment with less than 24 hours notice. Aim to arrive ten minutes before your appointment. Upon arrival all clients must register at reception. New clients will be asked to complete a client consultation form. Arriving late may mean you don’t get the full treatment time allocated to you. Please advise us of any health conditions, allergies or injuries that may affect your choice of treatment when making your booking. Most products used in our treatments are available to purchase at reception enabling you to continue your spa experience at home. Available to purchase at reception or over the phone. They are available for any amount and can be redeemed on any service or product available at Lavender House. Please note the Certificates are valid for 12 months. Children are allowed at Lavender House as long as they are accompanied by an adult at all times. We ask they are well behaved and quiet to ensure other guests’ continued relaxation. Facials, massages, body treatments and Spa Day times include time for a thorough consultation and aftercare advice. 30 minute treatments are 25 minutes of treatment time and 60 minute treatments are 50 minutes of treatment time. We welcome large bookings, however for bookings over £50 and for all Spa bookings we require a 50% deposit to secure your appointment. We can take this payment over the phone. If it is your first time having your eyelashes or eyebrows tinted or your hair coloured at Lavender House we require you to come in for a tint test 24 hours before your appointment time. The same applies for strip lashes or weekend lashes which require a glue test 24 hours before. We do not advise massages in the first trimester of pregnancy. Massages in the third trimester can bring on early labour so this is also not advised, if you are still wanting a massage during this time we recommend you seek medical advice and will require a signed disclaimer. We offer massages to everybody over the age of 18, clients between 16-18 years of age require parental consent. We do not massage under 16’s due to developing bones and tissues. Use of the spa is only permitted for ages 16 and over.